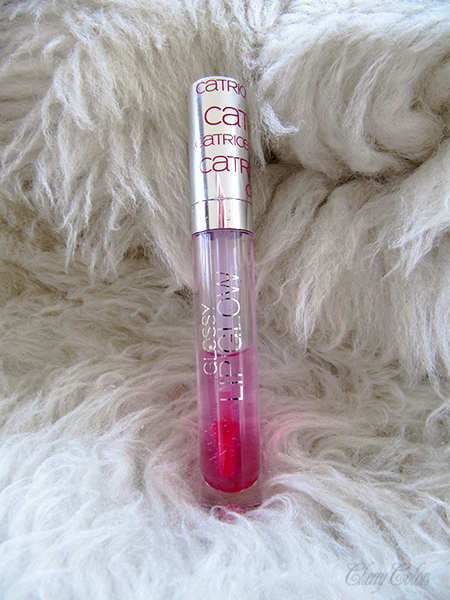 Catrice Lip Glow - A Lip Gloss That Changes Color - Cherry Colors - Cosmetics Heaven! Today I will be talking about a product I wasn't sure if I'd be using. 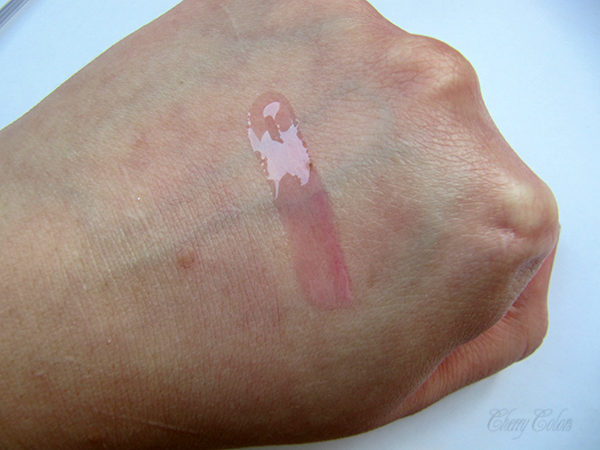 It's the Catrice Glossy Lip Glow. It's a color changing lip gloss. I'm sure you've all seen similar (lipstick) products, but if I'm not mistaken, this is my very first one that I actually own. The transparent texture of the Glossy Lip Glow turns into a soft pink to fuchsia shade upon application. How come? 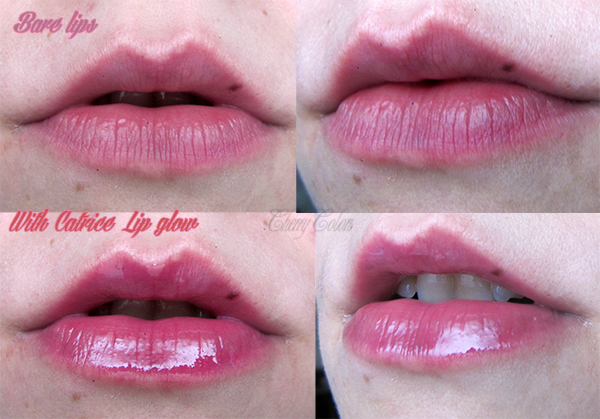 The colour varies depending on the pH-value of the lips, creating totally individual colour results. The intensity of the colour can be increased with repeated application. 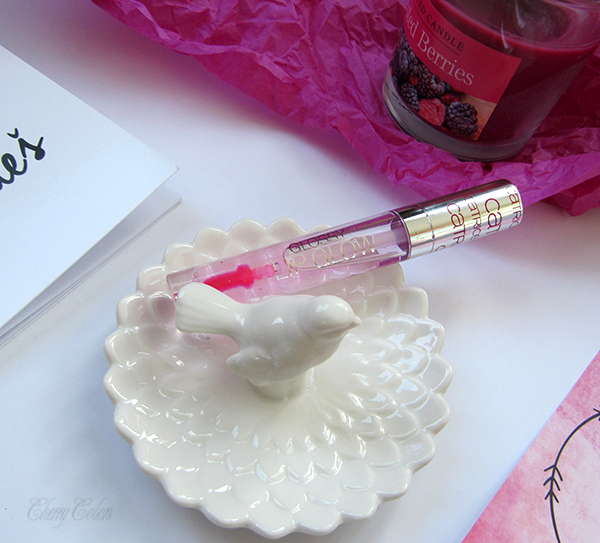 The gloss comes as a clear gel (well, gloss?) packaged in this sleek design. I really like the shiny handle, but the pink doe applicator scared me. Because of the option that my lips would be of this extremely bold color when I'd apply it. Swatched on my hand. I am sure it changed color because I was swatching some other stuff before this one. Normally I don't think the color would show on the skin since it depends on your pH, how bold it will look. And on my lips. I was surprised to see that the change was only slight. It seems the pH on my lips isn't all that high (acidic?) so it looks very nice and wearable. But of course, you have to be careful when applying because it will show up if you mess the application. Like, apply it sloppily all over the place and you're going to have a bad time. I use this lip gloss at home. Why? Because I need something to use while I'm sitting at my PC. I don't like using my "sleep" lip balm for this simply because the kid then gets his hands on it and sometimes eats it. Bleh. And then I'm left without any lip product. You know what? I was totally expecting this to be drying or something similar. But no. It goes on smoothly and feels heavenly. Smooth, soft, hydrating. 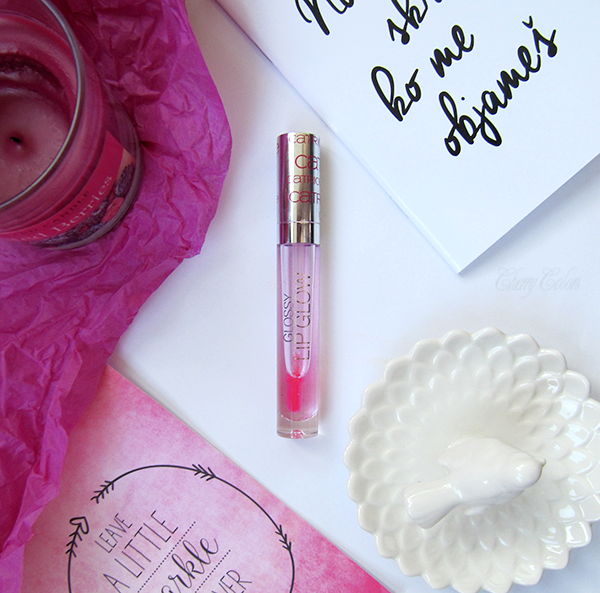 It's the best lip gloss I have ever tried. It's amazing. So nourishing for dry lips! Actually, it's even better than some lip balms. Seriously. +Is not sticky. At all. As I don't have many 'sucky products' on my blog, I don't have many 5 star rated products either. But this one does fall into such category. It's amazing. Non-sticky, nourishing and smooth. I love it! But be careful when you are applying it or you will look like a clown. I think Catrice really outdid themselves with this one. Now, if only it came in a non-color changing version, I'd be totally in love. *I got this product in a goodie bag from the BBMULJ sponsors. My reviews and opinion are always honest.